Today i tried to lay down sequence of events that needs to be followed for generating an output page using a Presentation template and DCRs. 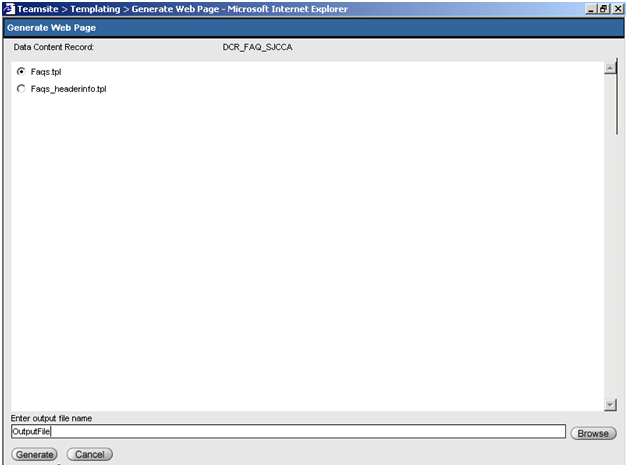 Step1: Open the DCR of the required data type which is to be used for page generation. Step3: Select a Presentation template, mention an output file name(One should not mention the extension, as extension will depend as per the configuration defined in templating.cfg) and click Generate. On clicking Generate the output page gets generated inside the preview directory of the presentation template as specified in templating.cfg.